I'm trying to figure out how the blockchain works and how to read it via blockchain.info website. 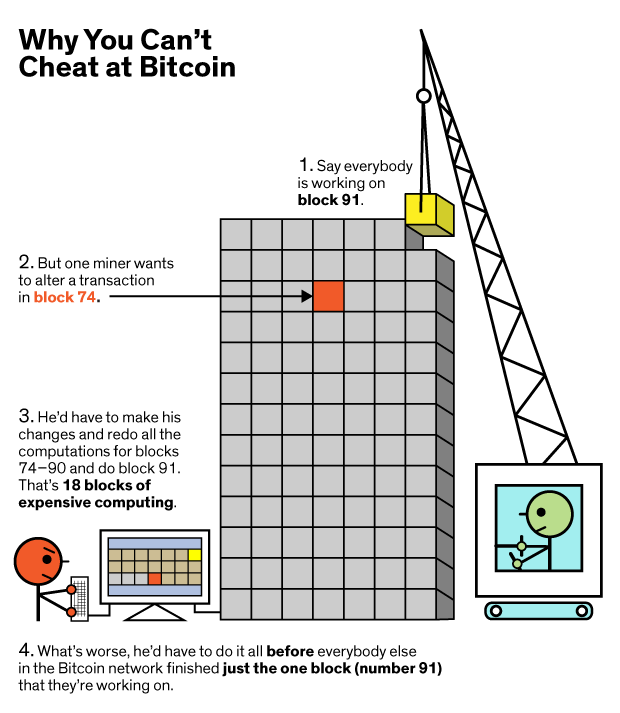 Is there a laymen way of explaining how the block chain works and how to read the blockchain to trace transactions? What I know so far is: the blockchain is just a public ledger of transactions on the bitcoin network. If you are completely new to Bitcoin, you may find my second answer more accessible, which is a less technical description. As you said, the blockchain is a log of all transactions that were ever verified on the Bitcoin network. The transactions are collected in blocks, which are found approximately every ten minutes in a random process called mining. As transactions transfer ownership of Bitcoin balances, each of these blocks represents an update of the user's balances on the network. By following the blockchain from the Genesis Block and applying all transactions that were validated in each block in the correct order, you arrive at the current status quo. The time when the block was found. This is a hash of the previous block header which ties each block to its parent, and therefore by induction to all previous blocks. This chain of references is the eponymic concept for the blockchain. The Merkle Root is a reduced representation of the set of transactions that is confirmed with this block. The transactions themselves are provided independently forming the body of the block. There must be at least one transaction: The Coinbase. The Coinbase is a special transaction that may create new bitcoins and collects the transactions fees. Other transactions are optional. The target corresponds to the difficulty of finding a new block. It is updated every 2016 blocks when the difficulty reset occurs. An arbitrarily picked number to conveniently add entropy to a block header without rebuilding the Merkle tree. All of the above header items (i.e. all except the transaction data) get hashed into the block hash, which for one is proof that the other parts of the header have not been changed, and then is used as a reference by the succeeding block. As many miners compete to find the next block, often there will be more than one valid next block discovered. This is resolved as soon as one of the two forks progresses to a greater length, at which any client that receives the newest block knows to discard the shorter fork. These discarded blocks are referred to as extinct blocks (sometimes also referred to as orphaned blocks, although their complete ancestry is known). When a transaction is submitted to the network, it is passed on peer to peer by all clients. Upon discovery miners will put it on their list of transactions that they want to verify and update the Merkle Root. Either way for each transaction you will see a line with a big arrow that shows you which addresses' were used to fund the transaction and what addresses received which portions of the transaction. 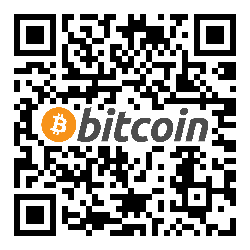 Sally uses a Bitcoin wallet on her smartphone to scan the code. She is presented a screen where she can enter an amount to send to Bill's address. She types '£2.50' and presses send. A moment later Bill's tablet notifies him that there is an incoming payment pending, which is not confirmed yet. About ten* minutes later, the payment is finalized** when it gets confirmed***. The software on Sally's smartphone checks whether Sally has a sufficient balance and then creates a payment order, which we'll call Transaction. This transaction is composed of three pieces of information: Which "coins" to spend, the recipient, and a signature. Sally's wallet is connected to other participants in the network. The wallet passes the transaction to all of them, who in turn pass it on to all of their connections. Within a few seconds, every participant in the network has received notification of Sally's payment order. Each and every participant checks whether the listed "coins" exist, and whether the signatory is the owner. So far, Sally's payment is only a promise, because it is still unconfirmed. To change that, some network participants, which we'll call miners, work on confirming these transactions. The miners grab all the unconfirmed transactions and try to pack them into a set. When this set doesn't fulfill the difficulty requirement, they reshuffle it and try again. At some point, somebody finds a set with the right properties: A valid block. Just as with the transactions before, they send this block to all their connections, who in turn forward it to theirs. Everyone checks the work (to confirm that the block follows the rules) and when satisfied, applies the included transactions to their own ledger: The transactions get executed and the "coins" that were used by the senders get invalidated, whereas the recipients gain new "coins" as ordered by the transactions. Sally's transaction (and all the others) is now confirmed. Bill can now spend the "coins" he received from Sally. Let's take a step back. Before Sally paid Bill, Sally got the bitcoins from Alice. Obviously, the order here is crucial. She can't pay Bill if she didn't get the money from Alice first. Generally, transactions can only spend "coins" that have already been created. This is why each block has a fixed position: Each block references his direct predecessor. E.g. Block 90 says that Block 89 preceded him, in turn Block 89 names Block 88 as his predecessor, and so forth, until Block 2 points at the first block, the Genesis Block. Deterministic results: Everyone can start from the Genesis Block and apply each block consecutively to arrive at the same result. Synchronization & Consensus: When you have applied the latest block, the balances in your ledger have the exact same state as in all the other participants' ledgers. *What keeps the average block time at 10 minutes? **Why is 6 the number of confirms that is considered secure? is every Block of blockchain is connect to each other? What are orphaned and stale blocks? How can the blockchain be used to verify “rarity”? Mining your transaction to push it to the blockchain? How new nodes synchronize with ledger ?